Penny Joann Zamora, 55, beloved wife of Richard Zamora, passed away peacefully, surrounded by her family on April 7th, 2019 at St. Luke’s Boise Medical Center. Penny was born in Pocatello, Idaho on August 28th, 1963 to Kay and Juanita Davies. Growing up Penny loved riding her trike while her older siblings lapped her on their bicycles at the local running track, playing in the big dollhouse in their backyard, and riding their Shetland pony “Lucky,” a gift from their grandfather. 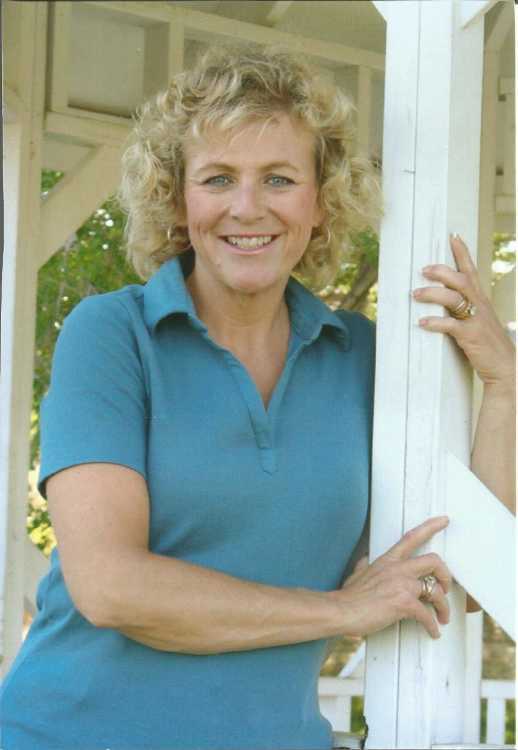 She graduated in 1982 from Pocatello High School, she was a Vice President of her Senior Class and enjoyed volleyball, basketball and cheerleading. She later received her Pharmacy Technician Certificate and worked as a Pharmacy Technician for 16 years. Penny wasn’t so sure about Rick at first, they met in Hawthorne Junior High and ran against each other for 8th grade student body president. Rick beat Penny by one vote but he eventually won her heart with his persistence. They loved cruising Main Street together, going to the Chief Movie Theatre where Penny worked and Rick took full advantage when Penny was waitressing at Mr. Steak by always coming to visit her and getting free meals. The two were happily married on October 15th, 1983 in Pocatello Idaho. Penny and Rick have four beautiful children and they were the light of her life. She loved going to all of their sports games and taking long road trips. Penny’s home was always open, she and Rick took in many family members and friends throughout the years when they were going through various hardships. She was a second Mom to many people. Penny was a bright, kind, and loving person. She enjoyed being outdoors, especially in Stanley, Idaho, hiking, riding bicycles, spending time with her family, dancing, and being a Grandma. One of her favorite Christmas traditions was having nerf gun wars with her family. Penny loved visiting the Oregon Coast, she and Rick had a tradition to go every other year. They would always go fishing and watch the sea lions. Penny’s favorite thing was to watch the surfers from their hotel on the beach. Penny was preceded in death by her paternal grandparents, Jonathan and Maggie Davies, her maternal grandparents, Sanford "Sandy" and Wilma Sexton and maternal step-grandfather, Jack Clemmens. Penny will be greatly missed by her husband Rick Zamora, her four children, son Tyler and wife Kyrie Zamora, son Brock Zamora, daughter Hannah and husband Bryce Benson, son Colton and wife Miranda Zamora, mother and father Juanita and Kay Davies, sister Sandy and husband Justin Lee, brother Tim and wife Susan Davies, grandson Bridger Benson as well as many aunts, uncles, cousins, nieces, and nephews. Her Service will be held on April 20th, 2019 at 1:00 pm at The Church of Jesus Christ of Latter-Day Saints located at 790 S. Haskett Street in Mountain Home, Idaho.